It’s funny how simple statements can rock a world’s construct. So far, in the Bible, God hadn’t spoken to all that many people. Adam and Eve walked with Him. Enoch walked with Him too, and was taken up into heaven one day, no death-taste. There was Noah, the man who believed God’s weather forecast years in advance. Talk about faith. An old man, far from home, who’d left all to follow a God who spoke to Him and called him to a place he’d never seen. Was there something special about Abram? It sure wasn’t his youthful vigor–he was ninety-nine in Genesis 17, when the Bible says God talked with him. It wasn’t his truthfulness–he lied about his wife to a king. It certainly wasn’t his upstanding moral character–he let his wife talk him into marrying her servant girl in hopes of a child. And, although Scripture commends his faith, that wasn’t flawless either–what else do you call that man-made attempt at an heir that Abram agreed to when he took Hagar to himself? What do you call it when Abram laughed out loud at the idea of himself having a son, when he was already almost a hundred years old. Normal people were having great-grand kids at this age. Maybe even great-great-grand kids. So what was so special about him? Us, unworthy, never with enough good deeds to make us valuable. And still He calls. The Most High, Almighty God, who bends down and talks to us. Just like He stooped down from His majesty in this verse and made a covenant with a not-so-perfect nomad with sun-wrinkled skin and wobbly knees and a faint heart. A wife who had even less faith. A house that had never rung with the laughter of their own child. And He promised him a nation, when he didn’t even have an heir. There’s a lot that God did for Abram–gave him a new name, for one. Promised him an everlasting nation. Sent him out into a land where he was a stranger. Said He would multiply him as the stars. Answered his prayers of persistence. But one thing still strikes me, quivers like an arrow sticking into wood. We’ve established that it wasn’t because Abram was so great. We aren’t so great either. Our sin totally corrupts us, blinds us to the Light. And yet He came into this world that we like to call ours, and He talked to us. The debt was paid, the ransom price given. It was so,so high. Did all of heaven gasp when its King shuddered out His last breath? Is that why the ground writhed and the rocks seemed to cry out in that hour? In what kind of world would God die and let us live? He wrested the sin-gap from between His face and ours and let in all the light of His glory. And–wondrous love–He still talks to us. He loves to walk with us. He loves to love us. We should get excited here–God talks to us. We have a Book full of His messages, a prayer-closet that could overflow with communion, a Spirit that dwells with us. Loving us isn’t a dull duty to God. Not at all! He delights over us with singing (Zephaniah 3:17)! Facing today may seem impossible to you. The deadlines hover. The dishes are mountains in the sink. You’re just fed up. God chose to speak to you. That is a great honor, a beautiful, filling thing. He delights over you with singing. Not because you’re worthy, but because He is worthy. Beloved one, rest. Live in the light of His face. Really live–a whole-heart, down-to-earth, in-the-grit living. He didn’t call us so we could sit here, did He? We must walk in Him, abide in Him, go and be poured out as He was. It’s an exciting life. It’s a joyous life. And He will be there, all the way–leading, talking, loving…and singing with delight over you. Can you hear His song? Thank you to Petr Kratochvil for the photo from Public Domain Pictures! 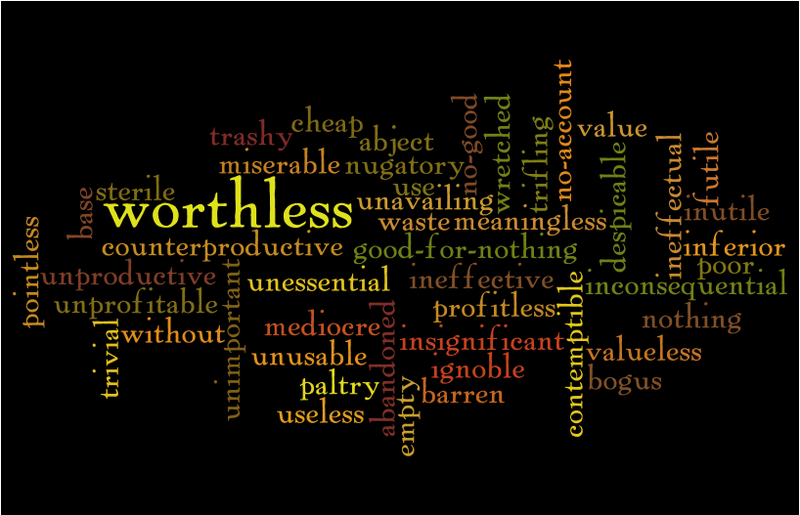 How Long Will You Love Worthlessness? If when my life takes no faith, am I truly living? When it all comes down to the bare basics, the end of the matter, shouldn’t faith reside there? Do I believe God or not? Do I believe Him when He promises abundant life? Do I honestly think I can take Him at face value–that His face alone will satisfy me? Do I believe He can fill my soul, delight me more than anything? As much as I tell myself that I want Christ, how much do I really? Sure, maybe I don’t desire some things that are bad–worldly and out-there–but do I really believe He totally satisfies? Sitting in repentant silence, I knew, of course, that I believed God deep down. But how small that seed of faith was–how much it needed to grow. What kind of faith was this, that produced so little fruit? And the apostle James warned that faith without works is dead (James 2:14). Mine was just barely holding on. Holding on by a thread of devotion–a very real place in my heart that knew Jesus was more to me than the whole world. I sat cross-legged beneath a stairwell, asking hard questions in my journal. Close beside me, my computer began to play the Psalms on audio, Chapter 1, 2, 3. Oh, for grace to believe that He will give me every good thing! For faith to treasure Him and cast away worthless things. But I was afraid, terribly afraid. Afraid that by seeking Him above all, I’d miss out. Afraid to be stodgy, miserable, depressed. Afraid, so afraid, to give up my way. Afraid to obey without feelings–yet being a slave to obey my feelings. But, see, Psalm 4 was still playing. Soft words, pinning like barbs to my soul. He will fill me up, more than anything in this world ever could. He has a better Story than any other novel. He has a greater Love for me than any romantic writer could dream up. He has more abundance, pleasure, joy in His presence, than a host of friends could supply. So I open self-stuffed fists.